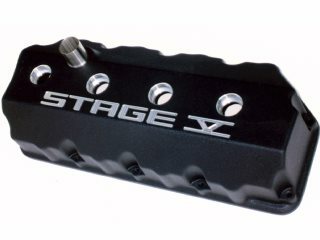 Give your Hemi classic hot rod looks by installing a set of these polished valve covers. Our aluminum polished covers are very durable and in the event of accidental abrasions, spot repairs are a simple matter of sanding, Scotch-Brite buffing and a quick swipe with some polishing compound. Long lasting sheen requires minimal maintenance. Option: a single stainless steel oil fill tube (as shown) can be installed to each cover for an additional fee. 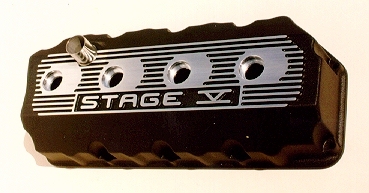 Our aluminum valve cover has the same general appearance as a 1966-'69 tin street Hemi valve cover, but with a much higher level of quality. Comes in aluminum with an extremely durable semi-flat black wrinkle powder coating. Powder coating is much tougher than paint and will resist scratches, brake fluid, gasoline and rough handling while maintaining the look of an original Street Hemi. Each cover comes without an oil fill tube, also logo can be omitted.